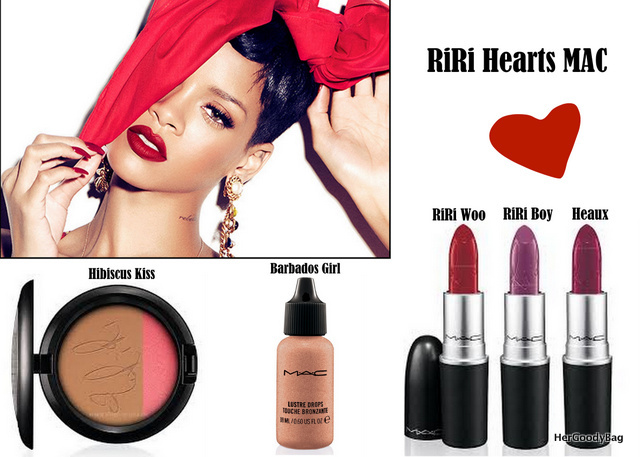 RiRi Hearts MAC Summer Release June 18th! I missed out on the initial release of RiRi Woo Rihanna’s debut collection with MAC and I won’t let that happen again. Tomorrow June 18th at 12pm EST MAC will release the second phase of the Rihanna Hearts MAC Collection. This go round you can expect the rerelease of RiRi Woo and two additional matte lipsticks RiRi Boy– a bold and vivid shade of lavender (that matte version of Up the Amp which is very popular amongst beauty lovers every where) and Heaux (ha!) which is described as a matte deep berry. I will probably get the lipsticks only. I have tons of bronzers and coral blushes. I will not be a makeup hoarder lol. Are you looking forward to picking up anything from this collection?